To all competent and gutsy guilds out there! The time has finally come to attain glory and honor! Uplift your team's morale and challenge those who dare! The title of the server's strongest guild awaits the victor! 1. 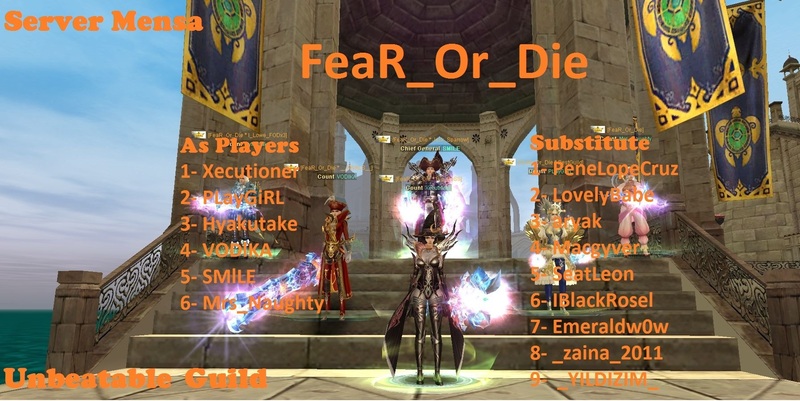 Players who wish to participate must register their name of the guild on Silkroad Online Facebook Page Event Section. Registration must be in poster/banner form, and should include the names of 15 guild members (6 Main participants and 9 substitutes) who can participate in the battle. A guild taunt or cheer may be included. 2. Every week, schedule and participating guilds per server who are qualified to battle will be posted on Silkroad Online website and Facebook page. 3. On the battle day, GMs will send a message to the members of the guild that are scheduled for the day. Players will then select 6 guild members who will participate in the PvP. Members of the guild should confirm to the GM if at least 6 listed members are present to battle. 4. Once confirmed, participants will be teleported into the Event Area. GMs will form a party with each team and announce the battle rules. 5. After the GM’s countdown, players will engage in PVP combat. All members of the opposite team must be vanquished. Once a member has been killed, he/she should remain dead until the match is over. 6. During the Qualifying Match, Guild must win 2 out of 3 rounds. 7. On the 4th week, a Final Match will be held. All the winning guilds in the Qualifying Matches will be paired with each other. 8. The guild which will win 3 out of 5 rounds in the Finals will be proclaimed as the winner. - Guilds members should coordinate with each other and decide on members who will participate and be available during the schedule of the battle. Guild should also prepare substitute participants if in case their lineup is not complete. - If not even 1 guild member can be contacted after a considerable time, that guild will be disqualified. - Guild with incomplete number of members will not be allowed to battle. - Guild can only register once. - If in case the opposing team will not arrive, no winners will be declared (no win by default). - Rescheduling of matches due to withdrawal of opposing team depends on the availability of challengers. - Use of berserk scrolls, potions, pets/fellows, potions and angel/devil spirit are allowed. - Team who has resurrected a member will be disqualified. - GM’s decision regarding registration and event execution is final. 1. Players who wish to join the Guild Skirmish Event should prepare a guild banner. Guild banner can be created out of in game screenshot or artwork by the guild’s member. Guild banner should display the names of the members who will participate in the in-game event, their guild's warcry and taunt to other guilds. 2. Guild banner should be submitted at the Guild Skirmish Event thread on SRO FB page. 3. At the end of event period, Community Manager will select the best banners. Are you hanging out with a strong team? Come join if that's what you think! Players of Mensa server, prepare thy banners and register your guild right away! Updated 53 months ago by the author.